Sri Suttur Math has been acting as a catalyst in bringing about a slew of reforms at Suttur village. Suttur Srikshetra has given utmost importance to healthcare. 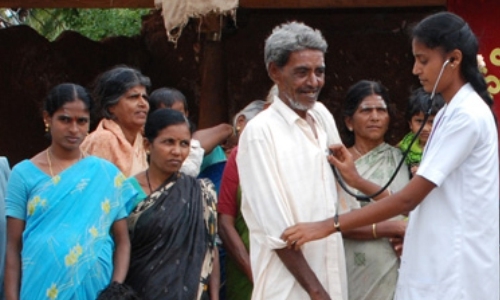 Families of the village have been brought under a single coverage called “Model Health Village”, which ensures free health care services to the villagers. This scheme was launched on Sept 2, 2003, by Smt. Sonia Gandhi, the then Leader of the Opposition in Loksabha. Hospital, dental clinic, Ayurveda hospital and drug centre have been established at Suttur to offer complete health care for the villagers. 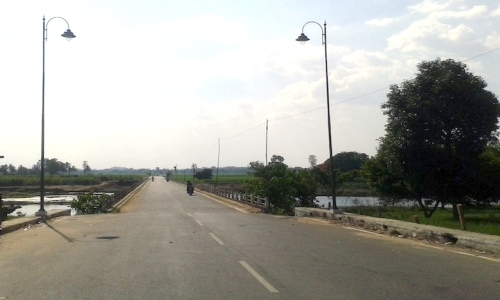 The Village Panchayath, Suttur, has implemented Suvarna Gramodaya Yojane, which includes the creation of necessary infrastructure such as asphalted roads, stormwater drainage, toilets, drinking water facilities, housing, etc. Drinking water is provided to Suttur village under the Rajiv Gandhi Drinking Water Supply Scheme. 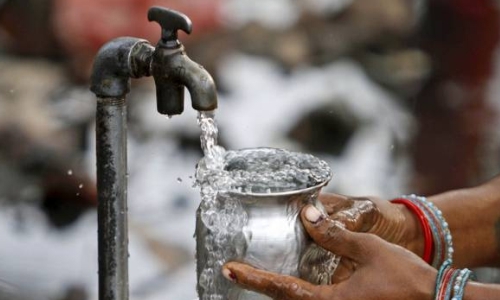 Villagers are provided 70 LPCD (litres per capita – day) every day. A scheme to provide underground drainage with an outlay of Rs.10 crore is in the implementation stage. While the first phase has been completed, the second phase will be launched soon. Under Sampurna Swachchatha Andolana, 400 toilets for individual households and two community toilet blocks have been constructed at Suttur with financial assistance from the Zilla Panchayath, Mysuru, and Sri Math. JSS Rural Development Foundation has implemented the project. Sri Math has established a Goshala (Shelter for Cows) at Suttur. The cows at the Goshala are take care of with excellent facilities. Also, efforts are being made to preserve the unique species of Indian origin. The Math has built ‘Sri Rajendra Krupa’ guest house to provide accommodation for pilgrims. ‘Mantra Maharshi Mandira’ and ‘Nijalinga Shivacharya Kuteera’ are meant for the pontiffs of other maths visiting Suttur. ‘Ghanalingi Shivayogi Guest House’ and ‘Gurukula Sadhakas Dormitory’ also provide accommodation to the visitors. The Math manages a VVIP guest house constructed at Suttur by the Govt. of Karnataka.